Conflict Resolution Skills e-booklet - just $3 - or even for FREE! Who can benefit from this e-book? "Thank you Alan, it's like hearing that voice in the wilderness about repenting. I have for years recommended that the best training course for mediators is to join a voluntary counselling organisation such as Lifeline where their motto is 'Listening is the least we can do.' It also happens to be the most - because real listening provides the validation of acknowledgement which enables people to move on from that 'stuck' space where they're often glued. It also provides access to the trigger which has caused the dispute in the first place." 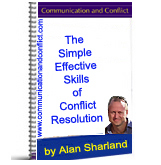 The e-book describes the conflict resolution skills used by mediators, such as the e-book's author, Alan Sharland, to support effective, creative and empowered resolution of conflict. 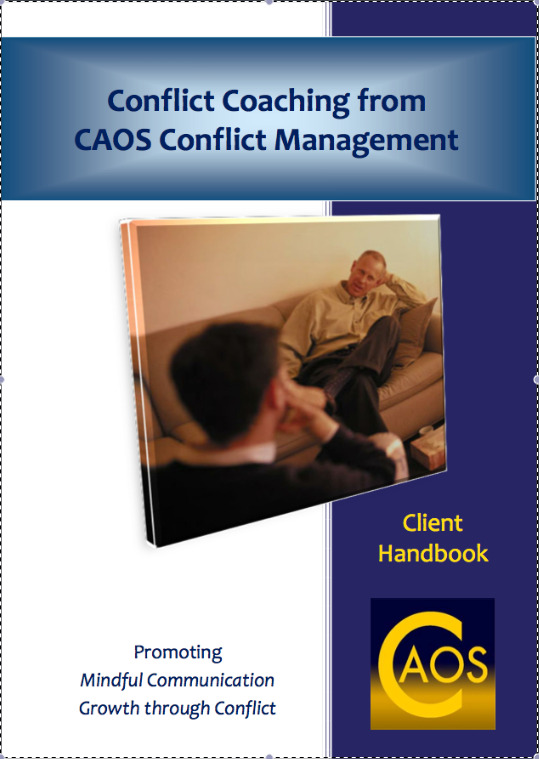 The e-book describes the conflict resolution skills of Listening, Summarising and Questioning that support people involved in destructive conflict in creating more effective responses to their situation, often leading to full resolution or at least a conscious ability to cope successfully with a difficult situation. The conflict resolution skills are practiced in a way that intrinsically supports empowerment of the disputant, keeping ownership of decisions and actions within their control so that any resolution or positive outcome is sustainable and not a 'quick fix' or 'sticking plaster' solution imposed by the practitioner. Click Here to find out how to get a FREE COPY of this e-book. Hi Alan. I am a mediator/conflict resolution advisor for [Canadian Government Agency]. I also coordinate the mediations in our area and am responsible for finding ways to help our volunteer mediator network. This article is the BEST article on questioning I have ever read and I'd like, with your permission, to pass it along to our mediators. Your examples of both genuinely open and 'not-so-open' with explanations are very insightful. A colleague of mine pointed out your article "Questioning" on mediate.com. I work in the Superior Court of the District of Columbia in Washington, DC. Specifically, I'm writing from the Multi-Door Dispute Resolution Division where we train volunteer mediators who handle up to 6,000 cases per year. We mediate all non-civil cases in Washington DC before a trial can take place. Now that you know a little about where I come from, I'd like to issue a request. We really enjoyed your article on open ended questions and we'd like to publish it in a newsletter that is disseminated to many of the judges in our court as well as all of our volunteer mediators. We currently have a roster of about 300 mediators at The Multi-Door Division. Your ears might be burning. I just got home from a two day train in mediating elder issues, as a trainee, and ended up talking up the Listening, Summarising, and Questioning articles, and 4 Word Build as well as your web site in general.